If you notice my Instagram and IG stories I'm quite a fan of babywearing, I've brought Mina to many places thanks to the help of babywearing, we've been on a jungle tracking, shopping, gardens, parks, malls and the list goes on. 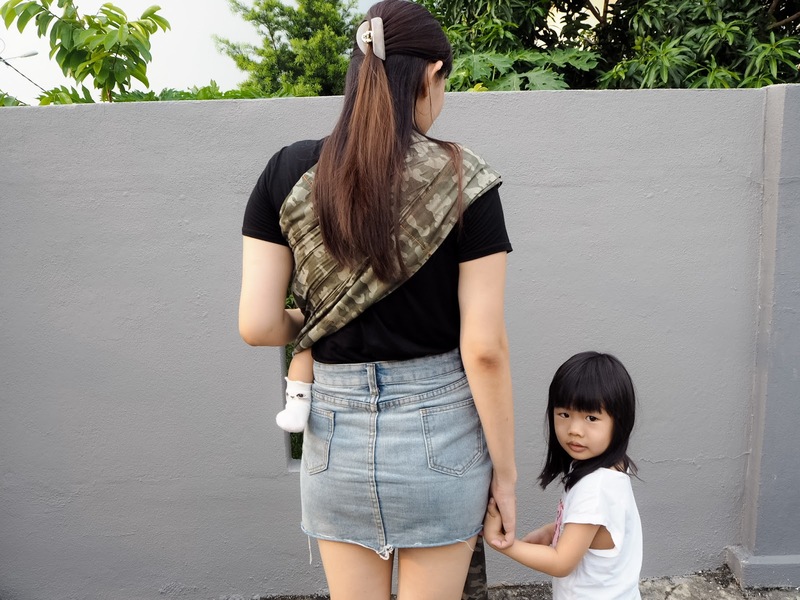 Babywearing is my savior, it has given me full freedom to do what I want while taking care of Mina at the same time but I've been questioned many times about the safety of it, they always ask is your baby breathing well? Let me share the T.I.C.K.S approach, it's a rule for baby sling safety but nevertheless, you should regularly check on your baby making sure the airway isn't blocked. So these are the guidelines to follow to ensure your baby is safe when you babywear them but besides these rules choosing a quality carrier means a lot too! So how do I choose a quality carrier? There are three main considerations I have, the positioning of the baby, comfort for both mummy and baby and price! Mamaway Ring Sling fits all the criteria and it's the award winning- Malaysia Best baby sling carrier 2018. 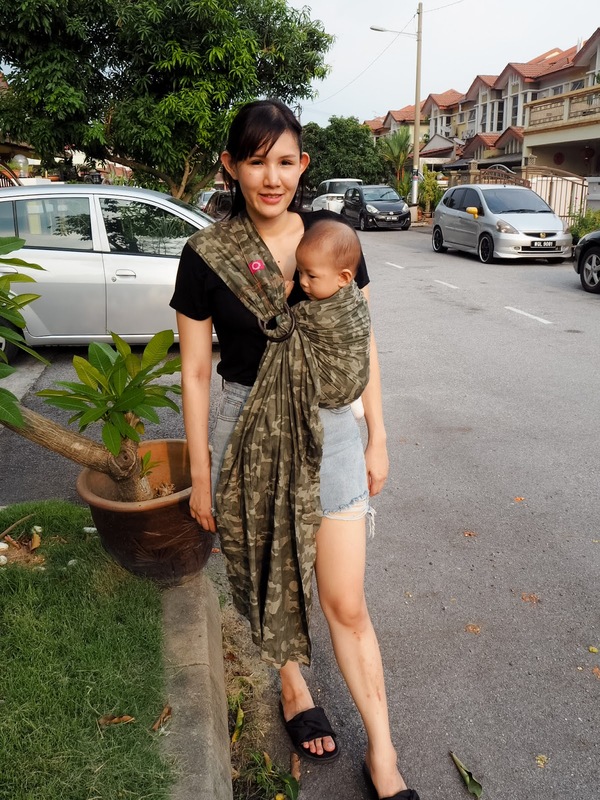 It comes in a variety of styles and colors, my favorite is the camouflage design which is what I got, it is perfect for both my husband and I plus its super affordable because it cost less than RM200. 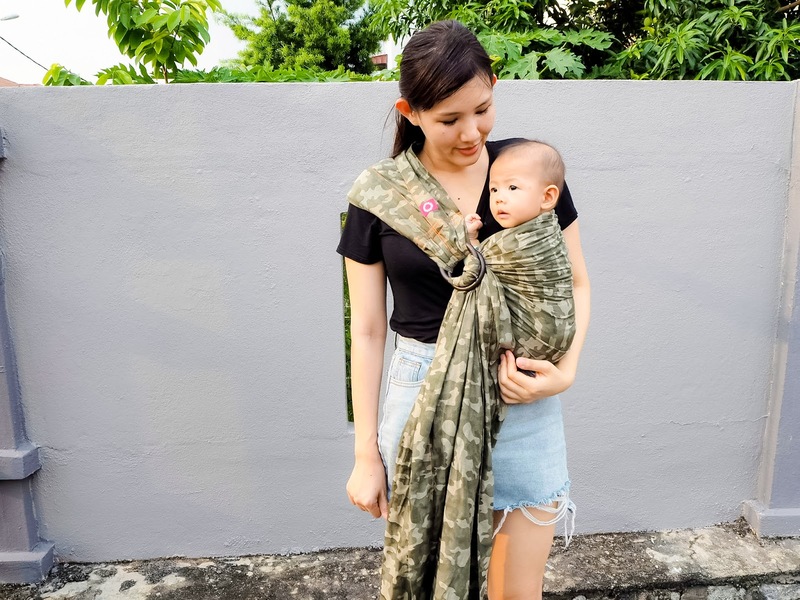 Mamaway Ring Sling harness your baby naturally in the M position so that hips can develop properly while keeping you and your baby comfortable. #2 Lightweight, compact and durable! This is perfect for newborns because before they can hold their own neck upright, this is a great solution because an infant insert will cost about the same or more. Having that said my 6 months old has adapted to it and enjoys being in it and it'll be suitable until she's 3 years old. When baby is hungry, baby needs to eat. Mamaway Ring Sling will give you the privacy you need, just use the extra sling fabric to cover while breastfeeding. 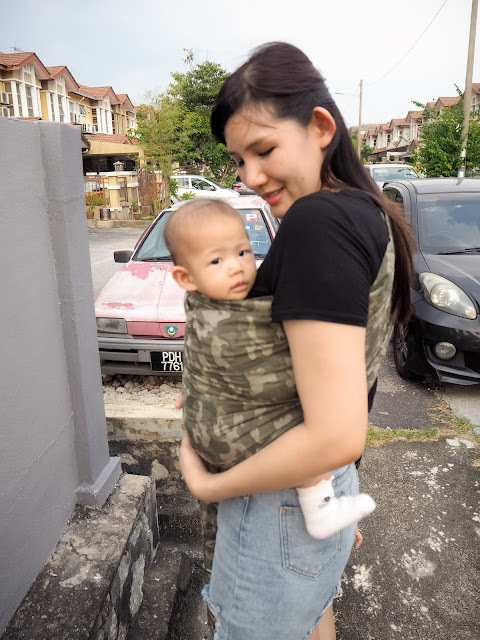 Overall I've been using this sling for two months now, mostly at home and it has helped me a lot with my house chores, it's easy to put on, just slide the sling through the rings and tighten it like a belt. The only minor downside is that ring slings are not meant to be used for long hours, you can but you'll need to switch sides every 30 minutes to make sure you don't put too much weight on one side of your body and I'm really bad with my left position which is why I hardly bring this sling out. Mamaway Ring Sling is available at http://bit.ly/2PAlAdu they are having a promo now so it's RM189.90 instead of RM250 which is super wallet friendly so it's the perfect time to grab it for someone you know who's about to enter motherhood or if you're a new mummy looking for a affordable ring sling this will be a great option as well.